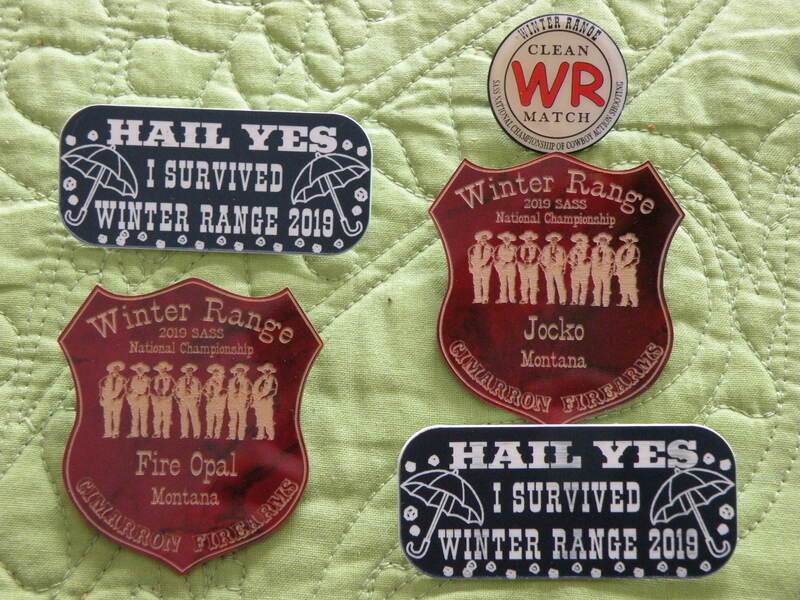 Jocko recently sent out emails and 2019 RMR applications to past members. 2019 looks to be an exciting year for Cowboy Action Shooting in Western Montana and beyond. We are planning our full schedule of shoots here at Big Whiskey (See the Schedule Tab for the exact dates.) With any luck, fire danger will be lower this summer. Members are already concocting stages for this upcoming year. 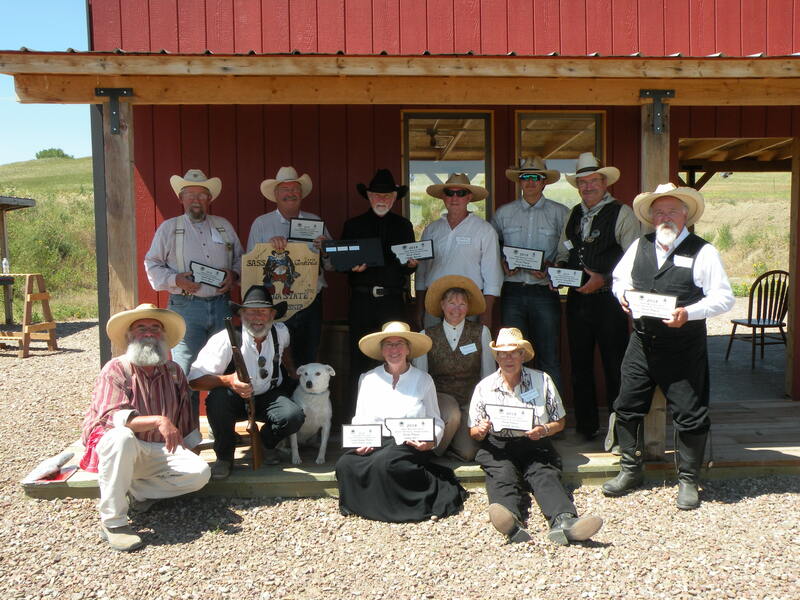 The Montana State Shoot is again hosted by the Black Horse Shootists July 19th - 21st in Great Falls. The Bitterroot Buckaroos will hold their annual September 13th -14th in the Hamilton, MT area. Other shoots across the area are in the works as well. If you have a shoot you would like us to list, please send the information to be included. All in all it looks to be a good shooting year! If you haven't received an email from Jocko, please let him know. We hope to see current, former, and new shooters on the range this year! April Shoot Postponed, No Foolin'! 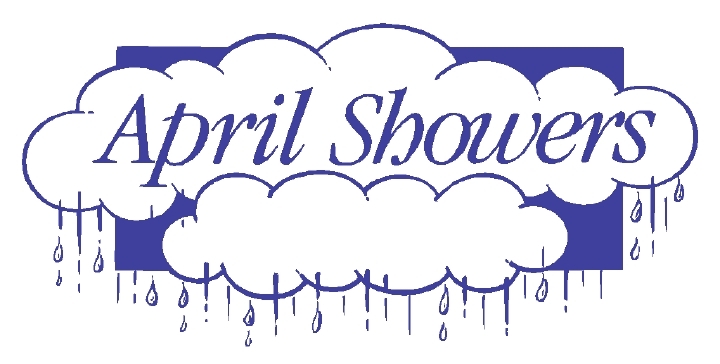 RMR's regularly scheduled shoot for April has been postponed until April 27th and 28th due to conditions at the range. The snow has finally melted, but with a week of heavy rainfall and more predicted, the Board of Directors decided postpone April's shoot to the last weekend of the month. Jocko sent out notifications by email to those on our members and contacts list. If you are not being contacted by email, please email or phone Jocko so he can add you to the list. We look forward to seeing you all on the range! And, it will be much easier to see the targets without raindrops obscuring our view! Keep your fingers crossed and your powder dry! Calling all Rangers! RMR is excited to announce that we will be reserving this corner of the home page for our new Ranger's Review column. Shooters, you can expect to be approached requesting your participation in our new feature. We would like to know what YOU, as a shooter, think about various topics. 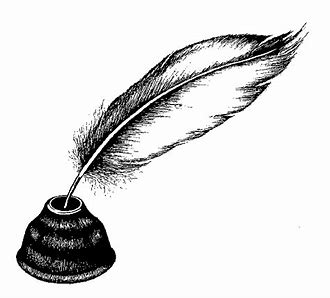 Or, if you have an opinion about some aspect of shooting be it targets, a certain type of cowboy weapon, costuming, a SASS rule, or anything that applies to Cowboy Action Shooting, please consider writing a short piece to be featured in our column. So get to thinking and cranking out your thoughts on paper. We look forward to hearing from you! Jocko and I, Fire Opal, fulfilled a bucket list item this February. For years we have wanted to attend Winter Range, the national SASS Cowboy Action Shoot which is held north of Phoenix, Arizona at the Ben Avery Shooting Complex. This is the year the stars aligned and we were able to attend. It is also the year the stars aligned, and parts of Arizona had some of worst weather they had experienced in eighty-six years (Flagstaff had 41 inches of snow). Like the postal carriers who are guided by the pledge of "Neither rain, nor snow, nor sleet, nor hail shall keep the postmen from their appointed rounds", the Winter Range shooters dealt with rain, snow, sleet, hail, and lightning while discharging their rounds downrange. We eventually had sun on the last day of the main match. Beautiful sun! Nevertheless, we had a fantastic time at the shoot. Neither of us expected to shoot well, however Jocko did manage to shoot a clean match. The facility was amazing, the stages were interesting and fun, the vendors were numerous, and the people in attendance all had wet if cold grins plastered to their faces. All in all, it was a terrific time. We would certainly recommend the experience. Next year Winter Range is scheduled to take place one week later. With any luck, the weather will be better too! Howdy All! Well Jake and I made our annual "Dog & Snake Show" Trip to Big Whiskey to see if we will be having an April shoot, and to see how the range wintered. The good news is, everything at the range wintered well with no cave-ins, or break downs. Yep, there's still plenty of snow - I'd say close to a foot and a half, and we didn't need snow shoes. The snow was frozen and you could walk on top of it. But it was early in the morning, and we had another below freezing night. I've sure seen it look worse with only two and a half weeks to go before our shoot date. The pavilion is looking good as well as everything inside and under it. The fronts are all in good shape. The Mix House and stockade wintered just fine. So does this mean we will have an April Shoot? The Snake and I say Yes! It might be the second weekend (as scheduled) or the third or fourth, but YES, we will have an April Shoot. We'll keep you posted. Sure looking forward to seeing everyone back at Big Whiskey soon. UPDATE: Graydog and his better half, Mary, visited the range April 4th, and reported that the bulk of the snow had melted. Although conditions were enormously improved, it still wasn't a given that our shoot could occur on the regularly scheduled weekend due to mud and rain. Montana boasts a rich heritage of Western History. One of the many interesting places to visit is Bannack State Park located west of Dillon, MT. Bannack was founded in 1862 when a prospector named John White found gold in Grasshopper Creek. A boom town was created, and miners flooded into the area. 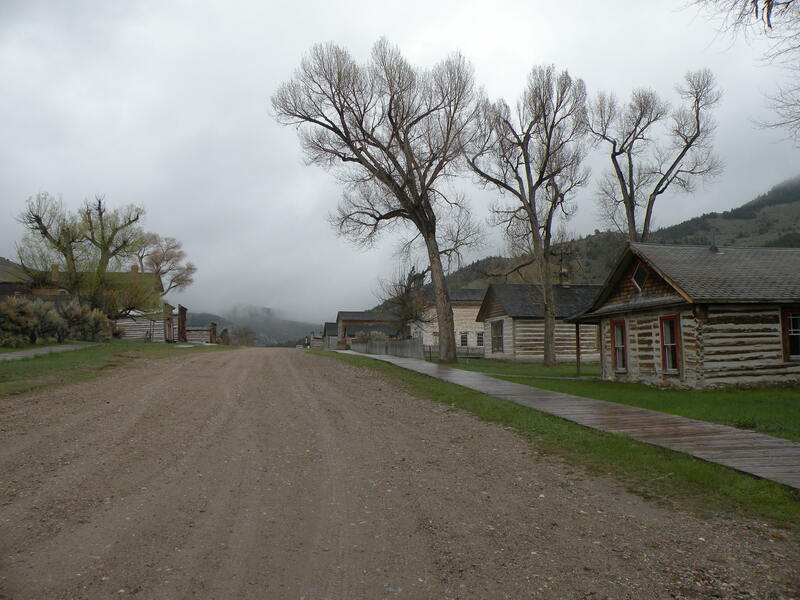 In 1864, Bannack was named the first Territorial Capital of Montana. However, in 1863 gold was also discovered around Virginia City. The capital moved to that location after a short period of time. Mining remained an important component in the Bannack area, and the town was viable through the 1930's. By the 1950's most residents moved on, and the state declared Bannack as a state park. Today there are over 60 structures still standing, many of which can be explored by visitors. 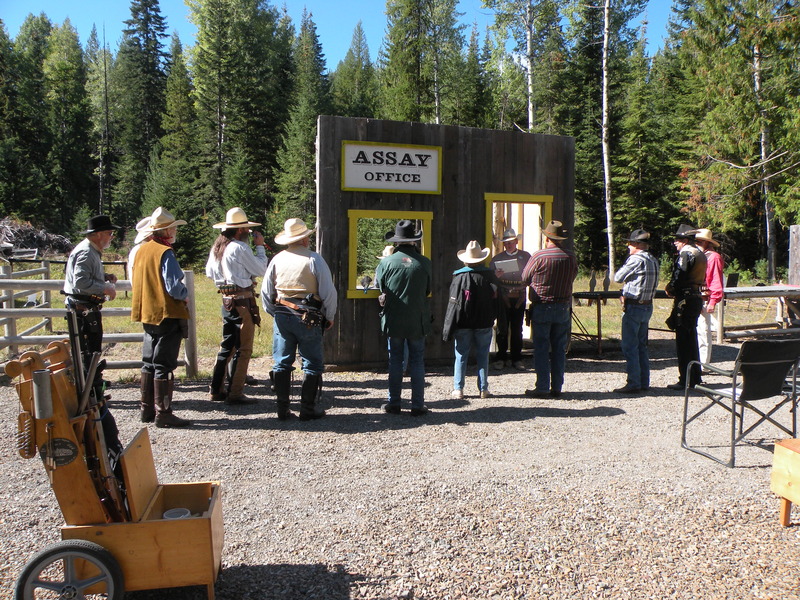 Every summer Bannack Days takes place on the third weekend in July, and other events are scheduled throughout the year. Last year, 2018, RMR and the Sander's County 4-H Western Heritage Project collaborated in a mentor program. 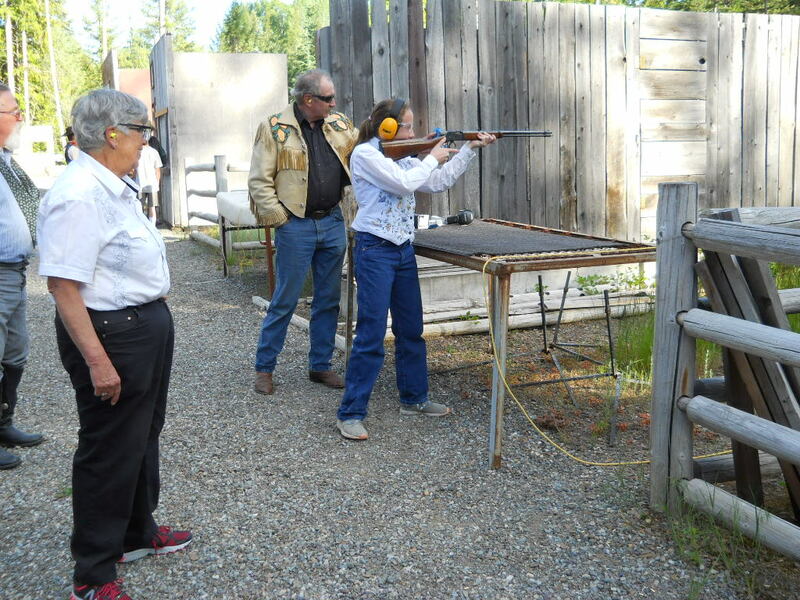 In 2019 we are on board to help the 4-H kids with their shooting skills and historical interpretation as well. More information should be coming soon about this year's sessions. If you are interested in helping mentor the 4-H shooters, please contact one of the RMR board members for more information. It should be an exciting year! Colville Shoot is Coming Up! Ranger Six and the crew of the Northeast Washington Regulators (N.E.W. Regulators) put together a bang-up shoot in Colville, Washington. The N.E.W. Regulator's annual shoot, Ambush At Richocet Junction, is held May 3, 4, and 5th. The Ambush includes a Wild Bunch Match, Warm-Up Match, and Side Matches, as well as the Main Match. Included is a Banquet and complimentary Margarita Bar on Saturday evening for all present. SASS Membership is NOT required at this shoot. When creating this new website, we found several older pictures that we did not want to loose. 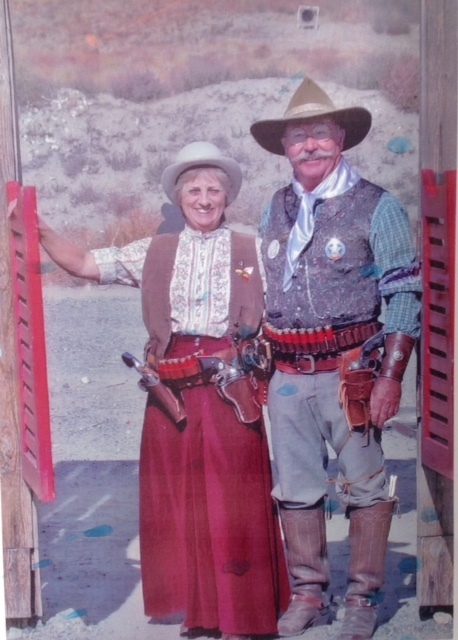 This "Blast from the Past" photo features a photo of Birta Rose and Cactus Ron. This photo was taken at the 2008 Great Northern Regional. Cactus Ron served as the RMR president for many years. 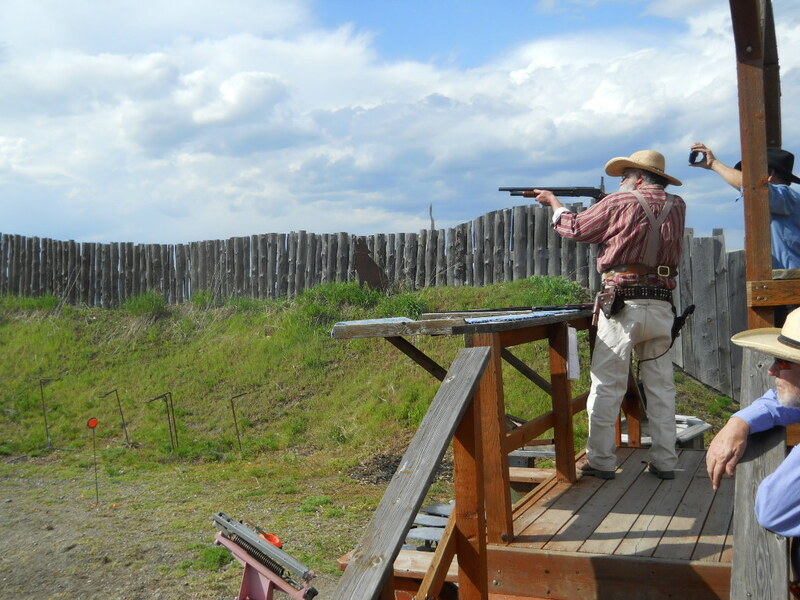 For several years, Birta and Cactus let club members shoot on their ranch as a temporary range. Besides allowing us to shoot, they opened their ranch to campers, and Birta always made a tasty dessert which she served to shooters on their porch. Good times! Do you enjoy the history of the Old West? Do you like shooting? Cowboy Action Shooting might be for you. Explore our website for information about this exciting shooting sport.